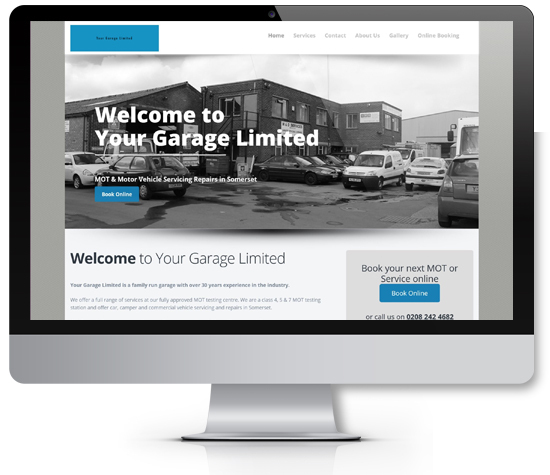 We can help get your garage online by working with you to design a professional & affordable website. You will be able to choose from a number of our custom templates. Working with you from start to finish we ensure that the website that we give you advertises your business in the best way possible. 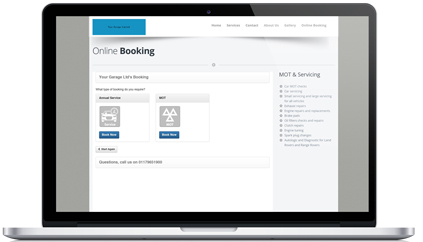 Along with your customers seeing that you have professional website, you can also give them the option to book their next MOT & Service online, direct from your website. Do you need a new garage website?